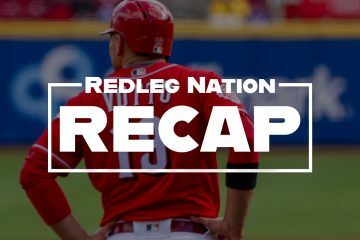 It’s Friday night, Disco is back, John Lamb sported a hipster man bun and the Reds beat an American League team. So here’s an hour of 70’s dance music if you want to get up and shake your groove thing. The Reds are kinda, sorta sneaking up on a decent starting five. Anthony DeSclafani joins Brandon Finnegan, Dan Straily and John Lamb. With the welcome news from Bryan Price that the Reds have demoted Alfredo Simon to the bullpen, the team is one call-up away from a solid rotation. Disco Revival It was a successful first start for Anthony DeSclafani. He threw 101 pitches over six innings, giving up just one run. He struck out two and walked three. His adrenalin-fueled first inning fastball velocity was 94-95. After that, he settled down to 92-93 mph which is at his career level. This was the first time DeSclafani has spent time on the DL, including his minor league career. He pitched 184.2 innings last year. Great to see #28 on the field.Ã‚Â Welcome back, Disco. No No-No Tucker Barnhart broke up Sonny Gray’s no hitter with one out in the sixth inning on a line drive single to left field. Bullpen Artists Blake Wood pitched the seventh and gave up a walk and nothing else. Wood returned for the eighth and powered through it 1-2-3. Tony Cingrani came in to pitch the ninth in an attempt to earn his sixth save of the season. After a lead-off hit, Cingrani retired the next batter and then induced a game-ending double play on Coco Crisp. Impossible to Believe The Reds Media Relations department tweeted out this fact about Reds reliever Blake Wood:Ã‚Â Wood hadnÃ¢â‚¬â„¢t allowed a home run for 58.2 innings, the longest active homer-free streak by innings in the major leagues. That dates back to August 2011 when Wood pitched for the Royals. The streak now stands at 60.2 innings. Interleague Win! Going into tonight’s game the Reds all-time record in interleague play was 104-131, third-poorest in the major leagues. Only the Padres and Pirates have been worse. The Reds were swept by the Seattle Mariners and Cleveland over seven games earlier this season. 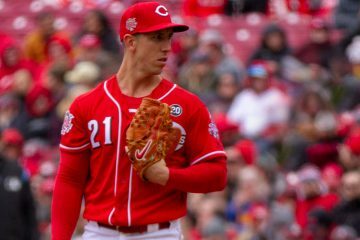 More Good News Michael Lorenzen is in Cincinnati tonight, threw a 25-pitch bullpen session and is scheduled to make a few rehab starts before joining the Reds bullpen. Reminder that Lorenzen was a closer in college. Good pitching and timely hitting by Duvall. Excited to see Lorenzen in the bullpen. He could be a lights out reliever. Just hoping that the Reds save him for crucial game situations instead of mopping up the weakest hitters to finish the game night after night. I see them easing Lorenzen into some low stress situations at first, then more of the high leverage situations once he gets comfortable and strong on the mound. Happy Reds fans tonight … way to end a busy week. Oh, and I’ll be in DC to see the Nats and Mets on Monday evening. That should be fun. I’m watching the giants, dodgers game and the announcer says the dodgers are 82-0 when Kershaw gets at least four runs of support. Our whole bullpen equates to -30 Clayton Kershaws……….roughly. Of course, tonight being the exception. Good game!! Its much better to steal a win that you probably shouldn’t have got then to give them away! The A’s left a ton of people on base. A guy doesn’t score from 2nd on a obvious double off the wall and then they finish it off by wild pitching the losing run in. Even Duvall’s double was right next to the 3B? I know it was a rocket but he was too shallow and I bet half the 3b in mlb make that play? Wood looked good and that homerless streak is impressive but so far every time you think he could be a part of a decent pen in the future then he walks the stadium and gets smacked around? That homerless streak confounded me. All the rockets fired off this bullpen, and he hadn’t give up any of them? They’ll take away his union card ! If you call him Straily Dan, it fits your 70s music theme. Almost. +5 for that good play on words. Add Reed to Disco, Finnegan, Lamb and Straily. Solid solid rotation. Once Lorenzen gets back and Iglesias, our bullpen will be nasty. The disco music makes the site worth the price of admission tonight! Once upon a life, I was a some time weekend club DJ. This was in the 1980’s; but we played a lot of the stuff on the disco loop because catered to a crowd trying to recapture something they probably really never had anyway 🙂 Regardless, it brings back good memories. You know I see a name to the right in the Hall of Fame contributors with the last name of Majewski. He can’t possibly be a relative of Gary Majewski can he? You never know… That said, it’s a pretty common Polish name. Things are shaping up pitching wise which makes for an interesting rest of the season.What would be better if we could see some position players from the minors get some playing time as well.How soon we can compete for the playoffs is on the position players in my opinion.We will pick up a reliever or two in the off season but barring injuries our pitching will be good and will only get better. 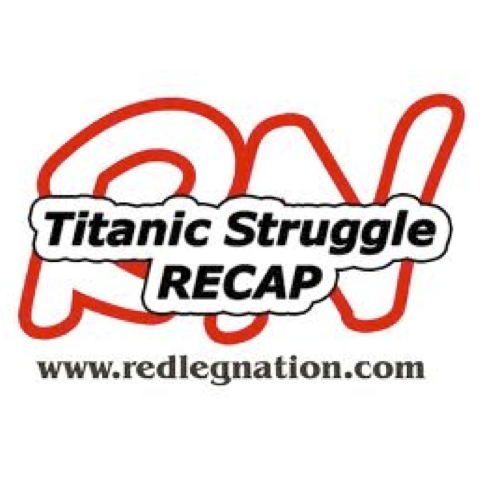 I think the relievers the Reds will “pick up” in the off season will most likely be guys already wearing the uniform of the Reds or one of their minor league affiliates but not necessarily working in a relief role right now. For instance, Iggy is now at with his shoulder situation pretty much where Cingrani was two years ago. Despite the lip service being given to having another look at him as a starter next spring, the odds are pretty long that this time next nest year he will be a stalwart in the Reds pen. Lorenzen is likely on the same career trajectory. Then there are some prospect (versus suspect) type guys pitching in relief or headed that way at both AAA and AA. The Reds have some good relievers in the minoir league system, just not quite ready for the show. Give some of them a complete season and some time at AAA and combine them with the arms not included in the starting rotation and the 2017 bullpen could be dominant once again, without adding any FA or trades to the bullpen. Bullpen quality and depth on the cheap. Welcome back Disco. It’s good to see you out there putting in work. I’m so excited. And I can’t hide it. Man it was good seeing some MLB pitching last night. Now just get Reed and Stephenson up. Coco Crisp? The same Coco Crisp who played during the last Ice Age? Yep, the same guy. 15 years in MLB now. 36 years old I think. In the end, everything fell the Reds way Friday night. However during the 9th inning, it was very interesting to hear Brantley critiquing Cingrani’s performance. Cowboy was zeroed in on two factors. The first was that Cingrani seemed to have only one speed and that the batters were “right on” it. The second was Cingrani’s lack of command in that he kept leaving pitches over the plate that should (in Brantley’s opinion) been running on off the plate. One could sense that Cowboy feared a meltdown was in the making. Fortunately Suarez made the pick on a hard hit ball; and the Reds were able to turn the DP to end the game on a good note. Reds pushed Price’s media availability back from 1245 to 1PM. Hoping that might mean some excitement beyond Price sleeping in; but, nothing yet.